Exercise and dating are probably two of the hardest things that we have to commit to in modern times. It seems like these days everyone is always starting some new relationship just like they are starting some new fitness program, and never ends up texting back or following through on making a date. Aziz Ansari probably said it best when he was talking about the modern dating, and it applies directly to fitness. We want you to be able to commit to a fitness program and actually see results, and the best thing you can do for that is find a fitness challenge. Challenging yourself to complete the whole 30 days, while seeing the progression happen day after day can be one of the most motivating ways to actually accomplish your fitness goals. We want to help you find that fitness challenge to commit to, so we reviewed a few of the top fitness challenge apps in the App Store and Play Store. No more swiping left on fitness. What’s the number one excuse for you to not workout? Well with this app you won’t have to. They provide you with a number of great fitness challenges designed specifically for you to be able to do quickly (the first workout only took me 5 minutes) and at home with limited equipment. There are multiple levels of difficulty so when you finish one challenge, you can up the ante and hit a harder workout. Or instead you can do work multiple different body parts depending on what your fitness goals are. A downside to this app is the number and placement of ads. I accidentally clicked the ad at the bottom of the screen instead of the “Start” button, which was annoying, but even more so was the full page ad that showed up after I finished the workout. It took me a few seconds to figure out how to exit out of the ad. This is a very good app with solid content and exercises, as well as good organization. The ads are annoying, but since the app is free you can look past it. This app leads the way for visibility because it showed up on pretty much every search for fitness challenges that I made (paid ad and regular search result). Once I downloaded it, I figured out why. Before you begin using the app they ask you to sign up and pay $3.99 a week (with a 1 week free trial). For the sake of this article I decided to sign up and pay the cost to see how the workouts were and what I got for the money I was spending. 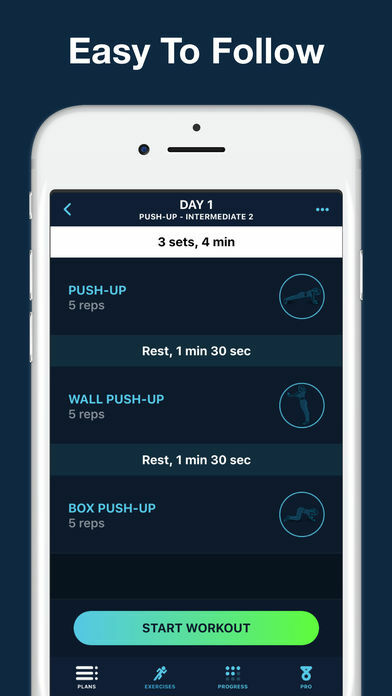 The app provides the same amount of workouts that you would find with any other fitness challenge, but the user interface is slightly more intuitive. It also comes with a movement catalog that is easily searchable. After I did the first workout I was happy with everything they provided. Afterwards, when I went to go cancel my subscription it took me two google searches and about 10 minutes to figure it out. Guess that’s how they make all their revenue (people forgetting or unable to cancel subscriptions). If paying up front for a program will keep you motivated then this might be the app for you, but otherwise I would advise you to avoid it. After the last app, I went on a search in the App Store for a good iOS app that provided a great experience for a fitness challenge. What I found was “Seven — 7 Minute Workout”. Signing up was easy, and I was provided with a workout right away. After completing that workout, which was well put together, I went to the home screen and found some cool features they provide that will keep you motivated. Completing workouts helps you earn points in the app that unlock other challenges and workouts, while also earning you badges and accomplishments. Imaginary internet points are sometimes the best way to motivate yourself to get in shape. I even found myself doing a second workout right away just to see what would happen. Overall I would recommend this app. Where all of the other fitness challenge apps focus on providing you with exercises and challenges that you can do alone, 38Plank provides a refreshing new way to keep you motivated by making the challenge into a Group Challenge. Everyone knows the best way to keep yourself honest while exercising is to have some social accountability, and the easiest way to do that is by challenging your friends to complete the workouts with you. 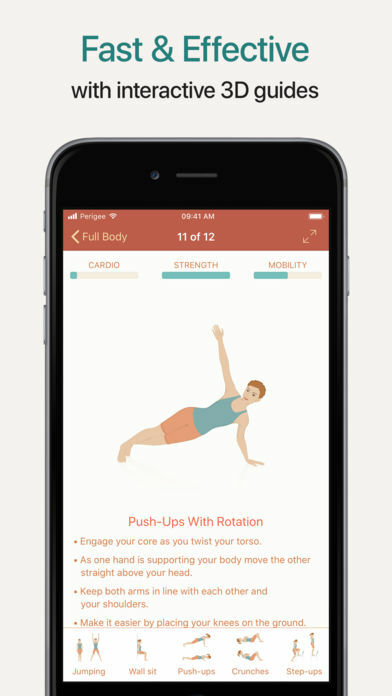 38Plank does offer limited options for challenges (selecting from a squat, plank, and push-up challenge) but the app makes up for it by making the process of completing the challenge social and fun. To set up, you need to invite at least 2 friends, and then you compete against them by earning points based on your consistency. While doing my first challenge, the most fun part was seeing pictures of my friends working out which, in turn, helped keep me motivated to do my daily workout. To me this is better than an app just sending a push notification reminder. If you are looking for a way to motivate yourself, either for general health or for a new year’s resolution, this is a great way to get moving. The interface is very well designed and there are tons of additional features that allow you to explore workouts outside of the fitness challenges.